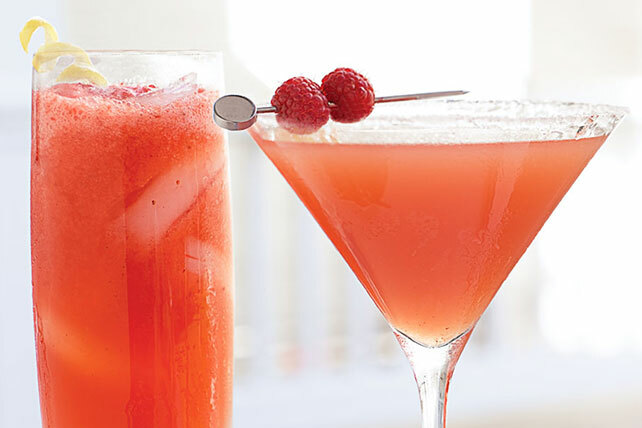 Refresh your taste buds and take a sip of this Strawberry Pink Lemonade. A low calorie beverage perfect for a hot summer day, you can serve this pink lemonade at your next gathering and cheers to deliciousness! Add water to drink mix in plastic or glass pitcher; stir until mix is dissolved. Pour half into blender. Add half the berries; blend until smooth. Pour over ice in 4 tall glasses. Repeat with remaining ingredients to fill a total of 8 ice-filled glasses. The strawberries in this refreshing low-calorie fat-free beverage provide a good source of vitamin C.